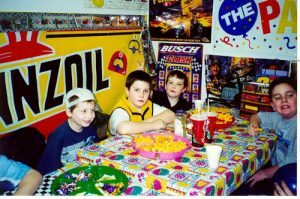 Have your Birthday Party here. We have a great package deal for you! 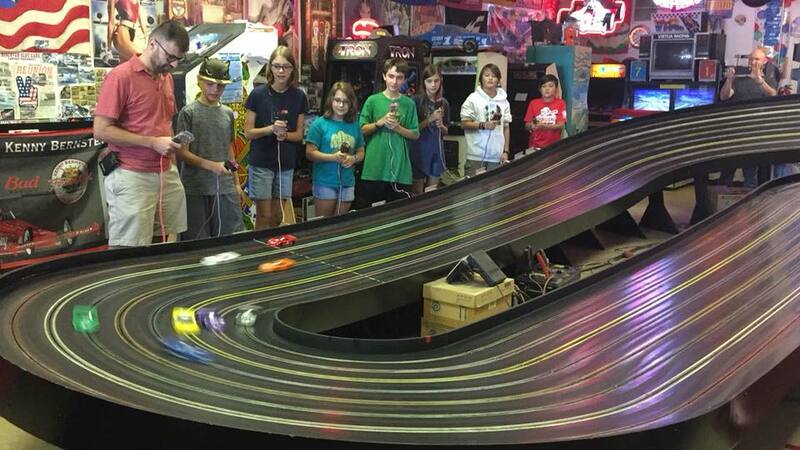 Race on our huge 8 lane slot car track! Track, cars, & controllers are all provided! You just bring the racers! 60 Minutes of Racing – including instructions & practice, followed by fully supervised and managed racing with computerized lap counting and race announcer. More then 8 racers is no problem! Races are 1 to 2 minutes per race heat, and the racers rotate in on the lanes. It all moves along very quickly and everyone gets equal turns to race! Average number of racers is 12, but we do 16-20 pretty regularly. You can bring your own food, or order in. Price is $10 per racer for 60 minutes use of the track and party area. As of January 1st 2018, we will no longer be participating with Groupon. If you have booked a party with us already, we will honor that booking. Thank you! 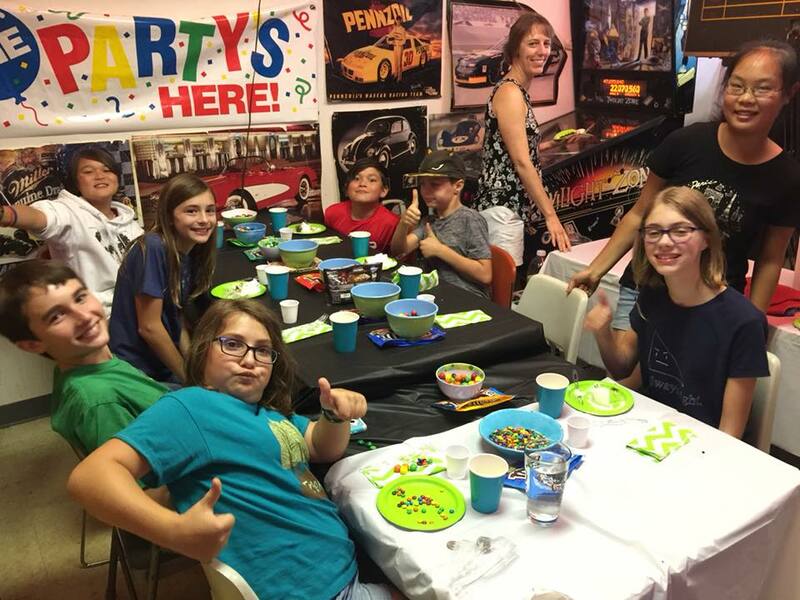 Have your next party at Fantasy Raceways! Call for more info – or to reserve your party date! We look forward to hosting your next party!